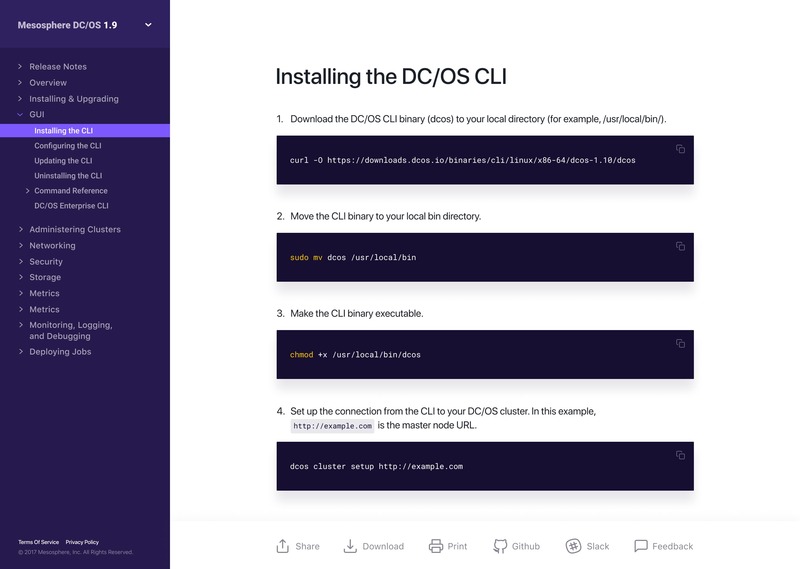 Mesosphere - Ettrics. Digital Agency. Integrated platform for data and containers. 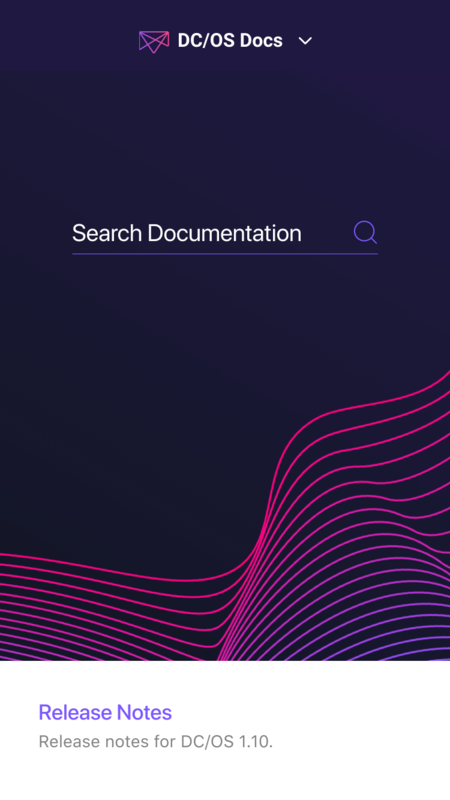 Ettrics designed and developed a more valuable documentation experience for Mesospheres developer community and technical writers. We continue to support and maintain the documentation site as an integrated front-end team. 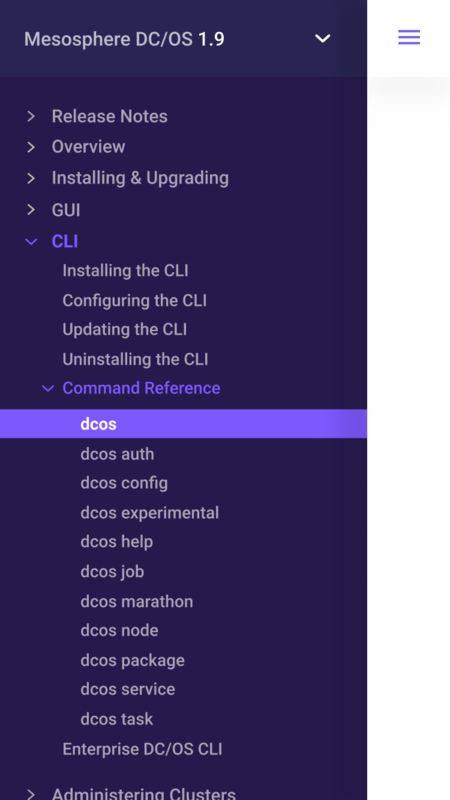 Mesosphere docs is open to the public.